Last week Croydon Crown court handed down lengthy jail sentences to three former highly respected senior managers in the retail sector. Highlighting risks in the UK the case did not result from forced expansion in challenging economic times to a high risk emerging market. Instead the outrageous bribery scheme took place at home involving Greenvale and Sainsbury’s – both highly sophisticated players. Greenvale is one of the leading potato suppliers in the UK and supplied Sainsbury’s in a £40 million a year potato deal. The case is a salutory tale of the risks (and opportunities for bribery) in the retail sector and comes hot on the heels of the news that Walmart is involved in a massive Foreign Corrupt Practices Act investigation in the United States for suspected bribery overseas. The conduct occurred before the entry into force of the Bribery Act. If it took place today it is likely there would also be an investigation into the corporate conduct of the supplier and a review of its anti-bribery procedures by investigators. Retailers should check their existing anti-bribery measures without delay. In May, Behagg (right), was convicted by a jury for corruption at Croydon Crown Court for his involvement in the scam while working as CFO for Greenvale. Behagg received a 3 year prison sentence after maintaining his innocence to the last, claiming that he was the victim of “extortion” by a colleague. Behagg’s colleagues previously pleased guilty. David Baxter (left), the accounts manager at Greenvale, was sentenced to 30 months in prison. He pleaded guilty to corruption and money laundering on 24 June 2011. John Maylam (middle), the Sainsbury’s potato buyer, was sentenced to 4 years in prison. He pleaded guilty to corruption and money laundering on 2 September 2011. The investigation uncovered that Maylam, the supermarket’s former potato buyer, accepted £4.9 million in bribes from one of its suppliers, which he used to fund a luxury lifestyle. He cooked up the fraud with Baxter, a drinking partner, who overcharged the supermarket for the produce, particularly charlotte and baking potatoes in the bribery jacket racket. These overpayments built up what was called ‘the fund’ which in turn was used to incentivise Maylam to keep Greenvale as a major supplier of the supermarket’s potatoes. They often stayed at Claridge’s and Maylam would bill cash advances, of up to £2,000, to his room. On his 40th birthday, Maylam received a £350,000 trip to Monaco to watch the grand prix, as well as stays in Nice and Cannes. Maylam drove a £94,000 Aston Martin with money that had been siphoned from Sainsbury’s through a network of bank accounts, associated with fraudulent companies and used for money laundering. To avoid detection Maylam sent receipts in envelopes to Baxter’s home to avoid Greenvale scrutiny. Baxter would take them to Behagg. Baxter would deliver cash reimbursing the ‘expenses’ in the proverbial brown envelope to Mr. Maylam. Meanwhile Greenvale wrote the expenses off as hospitality for the purposes of ‘team building’ with the knowledge of Behagg. When Maylam said he wanted more an explanation of payment for a bogus consultancy agreement and services was concocted. The payment made £85,000. The scheme was uncovered and Police called in when an internal audit by Greenvale’s parent company picked up irregular transactions. “This was corruption on a massive scale. The prosecution’s case was that as a result of this corruption, Greenvale was able to keep lucrative business for the supply of potatoes to Sainsbury’s, valued at £40 million per year, at the same time as overcharging them. “In return for these criminal payments, Greenvale employees David Baxter and Andrew Behagg were able to collude with Maylam in overcharging Sainsbury to the tune of £8.7million. The highlighted wording from the UK Crown Prosecution Service reflects similar examples given by the Serious Fraud Office and highlights types of corporate hospitality which will attract the interest and suspicion of a UK enforcement agency. “This was an unacceptable and calculated crime against Sainsbury’s of a magnitude never experienced in our history. 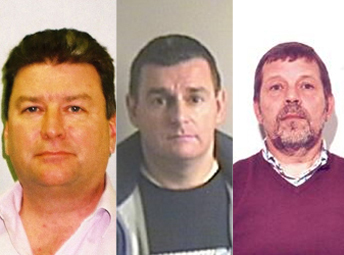 We are pleased that justice has been done with today’s verdict and we would like to thank the police for their thorough investigation that led to the conviction of John Maylam and David Baxter in 2011 and Andrew Behagg today. Today’s verdict sends a very clear message to anyone that behaves in this way that there are consequences to their actions. We know that off the back of this some in the retail sector are kicking the tyres on their systems and controls again. Retailers take note. If a sophisticated retailer like Sainsbury’s can fall victim to a scheme like this, anyone can. Have you checked your procedures?